Quincy Valley Historical Society & Museum is hosting a benefit concert featuring All Strings Considered & local musical friends, to help raise funds for the Community Heritage Barn in Quincy, WA. 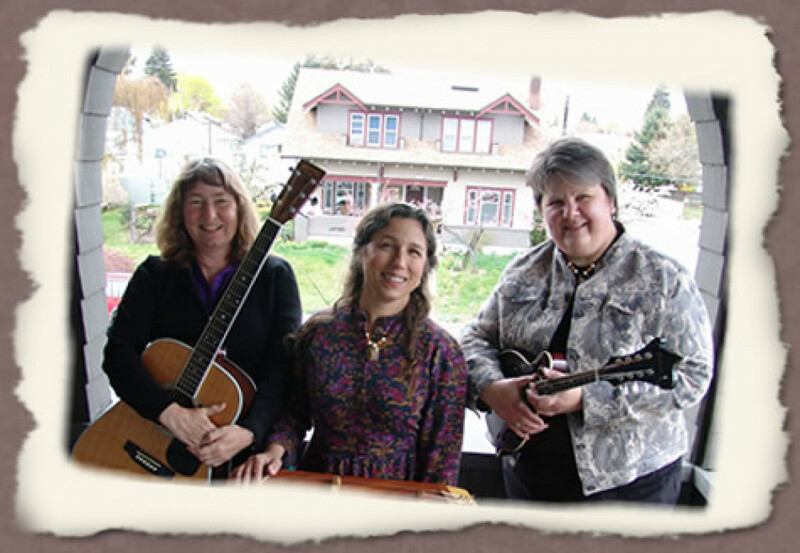 Connie Celeustka, Sherry Krebs & Tanya Lawson of All Strings Considered in Wenatchee, along with local musicians will feature Americana music on fiddle, guitar, hammered dulcimer, banjo & more. A fun folk sing-a-long time & even a barn dance in the partially constructed Barn will round out the event! Quincy High School choral ensemble and Kylie and Rylie Youngren will add to the musical selections, with "Will the Circle Be Unbroken" and "Shenandoah". The old-time cream can will be passed for donations to raise funds for the Community Kitchen inside the Barn, with the goal to raise $5,000 toward equipment needed. The cost to attend the event is by donation.